Neutering is the only effective way of reducing the number of unwanted cats and kittens in the UK. Please don’t add to the plight of the thousands of unwanted cats already out there! 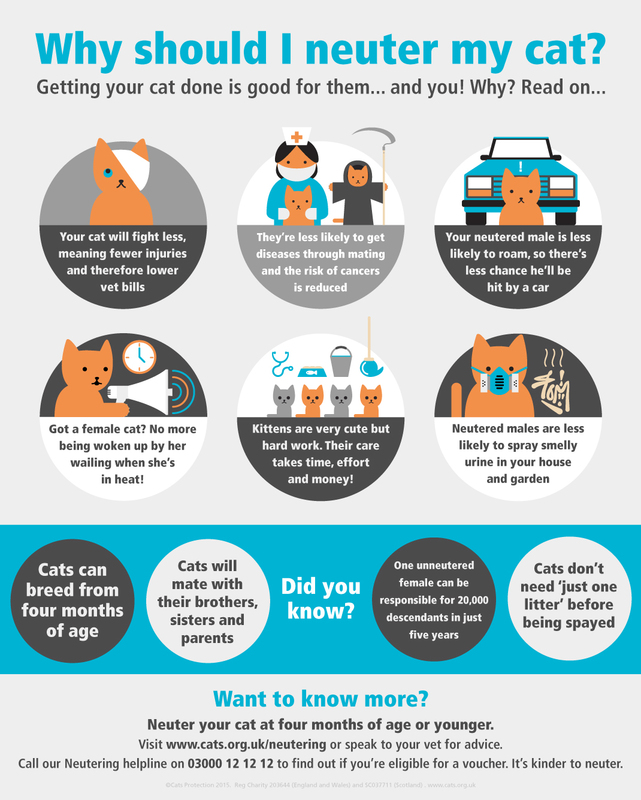 Getting your cat neutered is good for them – and for you too! Neutering could make YOUR life easier too! Got a female cat? No more being woken up by her wailing when she’s in heat! They are very cute but hard work. Their care takes time, effort and money – think of the food bills and the ‘accidents’ you’ll have to clean up! You can embed this visual guide to neutering on your own website or blog by copying the code below. Nice post ! Thanks !